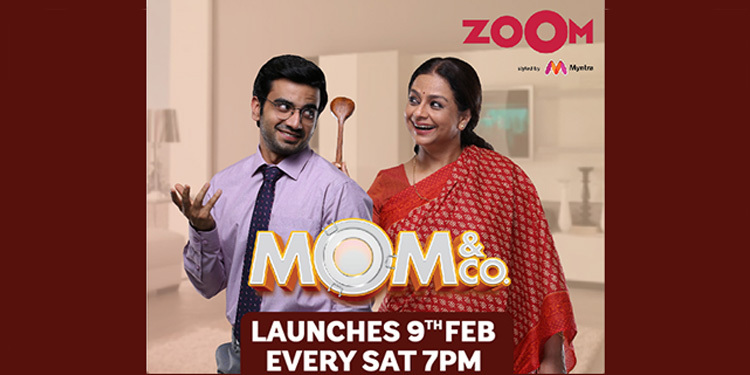 Mumbai : The Zoom Studios, original show ‘Mom & Co.’ which celebrates the extraordinary relationship between a mother and a son has been a success, garnering 15 million views on YouTube and Facebook. The show that has strongly resonated with the viewers on its narrative and music, will see the launch of Mom & Co. music album with 9 tracks composed by the talented music director duo Sarthak-Nakul. During the course of the show, the dynamics of the relationship between the mother-son duo takes interesting turns as Aditya has understood all the sacrifices Aai (Suhasini Joshi) has made for him. Will Aai’s Kitchen make the cut? Life comes full circle for Aditya, as Vivekanand whom Aditya had fired in the first episode, is now in charge of choosing the company that will be hired to cater the orders. Will Aditya manage to mend bridges with Vivekanand? Will Aai’s food win over Vivekanand? Will he finally give her credit for being the heart and soul of Aai’s Kitchen? The finale episode will have answers to all the questions.